It is time to count our blessings! We have seen some encouraging movements this past year. Let’s take note together and give thanks! 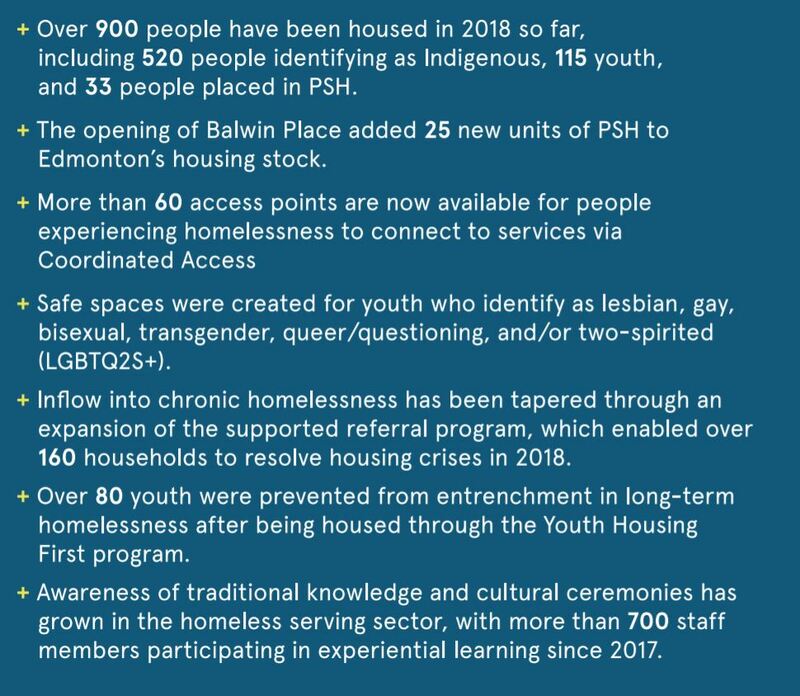 From the community update shared by Homeward Trust on National Housing Day, November 28, 2018 at the Royal Alberta Museum. 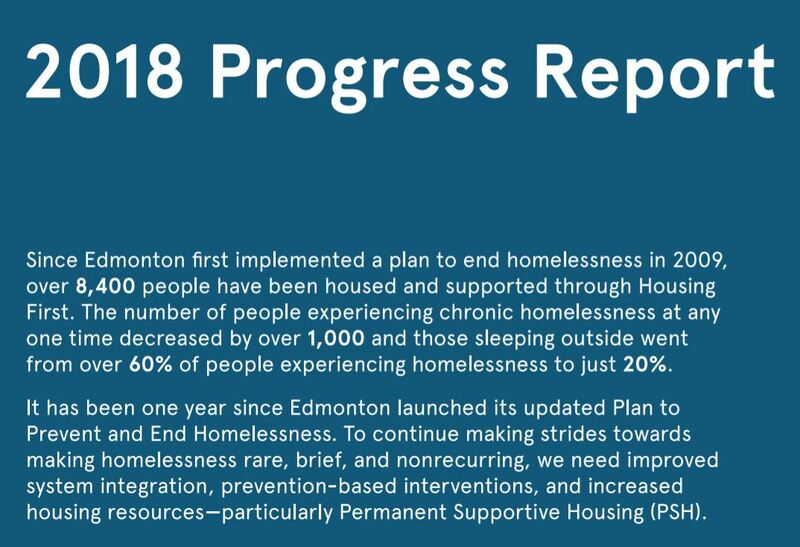 As the above summary report suggests: One of the most pressing frontline needs continues to be for more Permanent Supportive Housing (PSH). PSH works much like Seniors Assisted Living facilities to provide more intensive and longer term care and supports to help those with numerous and complex barriers or challenges. Thankfully, we are seeing some progress on that front with the promise of much more! The picture above is of Balwin Place in Edmonton’s Northeast; one of Edmonton’s newest PSH facilities (Homeward Trust and George Spady Society); home to 25 new residents. This past month, CRIHI was also able to visit Elizabeth House (E4C); which will be a supportive home and community for an additional 20 residents; historically a communal home to Anglican clergy in Edmonton’s Alberta Avenue community. Do we have more on the way? Yes! 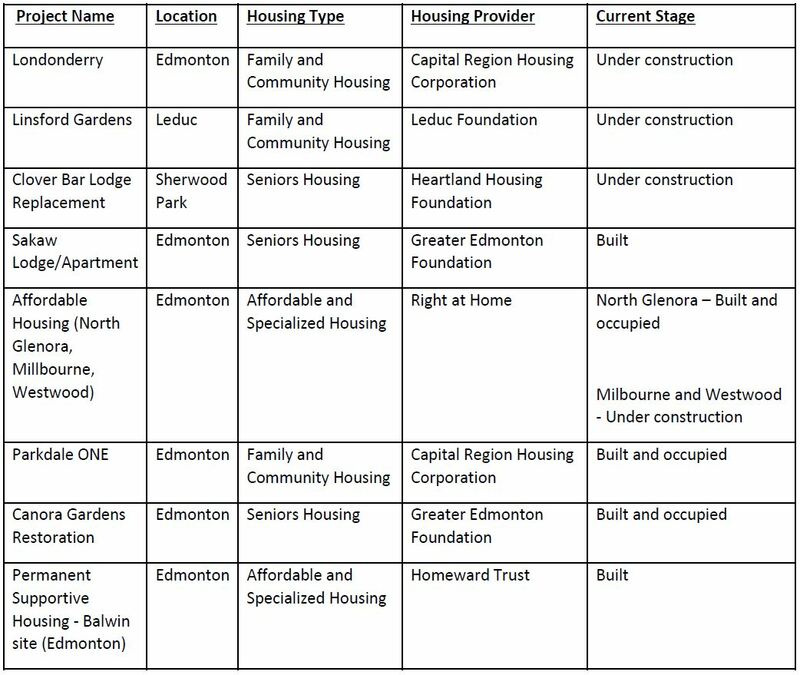 The City of Edmonton is preparing to designate four city sites in Edmonton for Permanent Supportive Housing. The locations of those plots are still being determined, but they are moving forward. 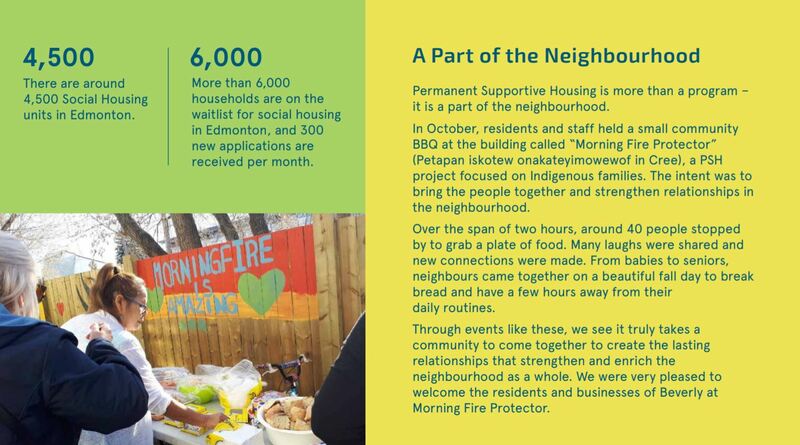 The city of Edmonton recently approved significant investments in affordable housing, as we detailed in our November issue of the Neighbourly. The Province of Alberta has also made significant commitments and investments both here in Edmonton and across the province. They created the first Provincial Affordable Housing Strategy. The strategy prioritizes people and focuses on their success and well-being. The government is standing by its commitment of $1.2 billion toward the development of 4,100 new or regenerated housing units across the province. On November 9, the Province announced a $3 million investment in a new Veterans Service Centre and transitional housing project in north Edmonton. The project will help link veterans to a range of services, including transitional housing, employment and training services and crisis supports. There is so much yet to be done, but we really do have much to be excited about and grateful for. Please take a moment this month to contact your MLA, your MP, and your City councillor. Tell them how important an affordable home is to everyone, and thank them for some of the good work being done to ensure people have access to affordable housing!